Tokyo, Japan – LIXIL Corporation (LIXIL) – a global leader in the housing and buildings industry – today announced that its breakthrough SATO business will be funded under the “Urban Sanitation Challenge,” a newly launched program of the Water Innovation Engine. LIXIL’s SATO is one of the first five projects ever to be funded through the Urban Sanitation Challenge. The new program, led by Grand Challenges Canada, was launched on September 21 at the UN General Assembly meetings in New York City. LIXIL’s SATO is a first-of-its-kind line of affordable toilet and sanitation products specifically tailored for rural and peri-urban communities with difficulties accessing safe sanitation. The products are designed to automatically and reliably seal open-pit latrines with an innovative self-closing trap-door that minimizes odors and the passage of disease-carrying insects, making the toilet safer and more pleasant to use. The first SATO toilet was developed in 2012 by LIXIL’s American Standard brand. There are now 1.2 million units in use, improving sanitation for 6 million people around the world. SATO products are currently commercially available in four countries – Bangladesh, Uganda, Kenya, and India. The CAD $1 million of funding will help LIXIL scale up SATO to reach an additional 15 million people, enabling manufacturing and distribution of SATO products in Nigeria, Tanzania, Ethiopia, Rwanda, South Africa, Vietnam, Indonesia, Haiti, Ghana, Malawi, and the Philippines. This will take the company a step closer to reaching its goal of bringing safe sanitation to 100 million people by the end of 2020 — and improving worldwide access to basic sanitation by four percent. A second project to receive funding uses another of LIXIL’s innovations. Laguna Water’s project in the Philippines utilizes LIXIL’s Portable Toilet System – an in-home sanitation solution designed for dense urban informal settlements that lack adequate sanitation infrastructure. 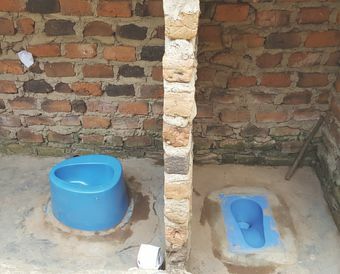 The system is being field-tested to offer disadvantaged households an ‘odorless’ toilet from which human waste can be collected and treated hygienically and efficiently. The Urban Sanitation Challenge recognizes projects that tackle the impact of poor sanitation on health, the environment, and the economy through cost-effective solutions. It is the newest initiative of the Water Innovation Engine, which was formed in response to a 2016 Call to Action from the eleven Heads of Government and State and Special Advisers who make up the UN / World Bank High Level Panel on Water (HLPW). The challenge is supported financially by the Government of Canada through Global Affairs Canada, and a host of other partners. For more information about SATO, visit www.sato.lixil.com. The new Urban Sanitation Challenge will fund breakthroughs in innovative approaches that help communities deliver cost-effective universal urban sanitation so as to prevent harmful impacts to health, the environment, and the economy. 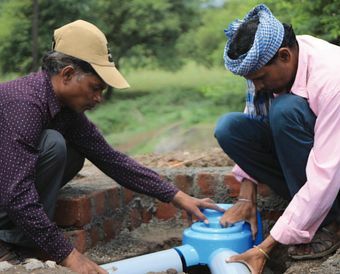 The Urban Sanitation Challenge, led by Grand Challenges Canada, is the newest initiative of the Water Innovation Engine, which was formed in response to a 2016 Call to Action from the eleven Heads of Government and State and Special Adviser who make up the UN / World Bank High Level Panel on Water (HLPW). Leaders specifically made an appeal for the launch of challenge programs to stimulate thinking that will shift the needle in implementing a new water agenda. The Water Innovation Engine’s development is being guided by a Launch Committee, whose members include the Australian Government’s Department of Foreign Affairs and Trade (DFAT), the World Bank, and the Rockefeller Foundation. LIXIL Group Corporation (TSE Code: 5938) is the listed holding company containing LIXIL Corporation, LIXIL VIVA CORPORATION and LIXIL Housing Research Institute, Ltd. The Group, which is led by President and CEO Kinya Seto, is involved in a broad spectrum of housing-related businesses, ranging from the manufacture and sales of building materials and housing equipment to the operation of home centers and a network of homebuilding franchises, and comprehensive real estate service. LIXIL Group Corporation posted ¥1.79 trillion in consolidated sales in FYE March 2017.